“I’ve hired Cathy on several occasions to write copy for my websites and marketing projects. Recently I decided to hire her to write a sales letter for my first information product. “I debated doing it myself because I’ve been doing a lot of my own copywriting for my clients. However, I was busy and wanted to be sure this new project would be a success. “Thankfully I chose to have Cathy write the sales letter. I recovered her fee within the first 12 hours of launching my Social Media Toolkit. “As a very busy 7-figure business coach, I’ve chosen Cathy’s copywriting services three times in the last year. I get pressed for time and I can’t afford anything but high-quality copy. Cathy Goodwin is my answer. “For a long time I wrote my own copy for sales letters to promote my events. But now that I’ve gotten busy, I have hired Cathy Goodwin on 3 separate occasions to write sales letters for my events. As a marketer, I know how to choose a copywriter and I knew Cathy could deliver what I need. “Cathy has a gift for ‘getting’ what my event is about and what I want to communicate to my niche. She quickly puts words around my concepts in a creative way. “What really sets Cathy apart from other copywriters – besides her skill with words – are her speed and style. I’ve turned to Cathy at the last minute and she’s given me turn-around that’s so fast she’s asked me not to share the exact time frame! Even more she delivers quality content in HTML so I know exactly what it’s going to look like, it’s easy to make changes and my web designer works faster. “As an attorney who takes pride in his writing, I had to overcome my reluctance to work with a copywriter on a new web site. After interviewing several copywriters, I decided to work with Cathy Goodwin. I made an excellent choice. “I teach self-defense for women and girls of all ages. I know I’m a great teacher and I provide a crucial service. But I’m not all that good at marketing. 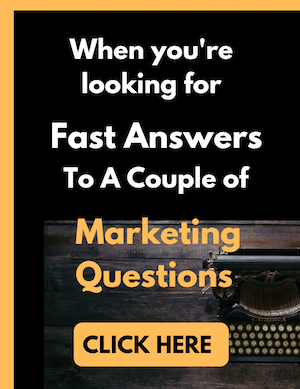 I met Cathy at a networking event, mentioned what I did, and she immediately came up with several great ideas for marketing. “You are so good! You do what I do but with words. You find the jewels, buff them up and put them on little stands so they glitter and catch the light. “I had sales copy up on my website two weeks after our initial conversation. Talk about a quick turnaround!